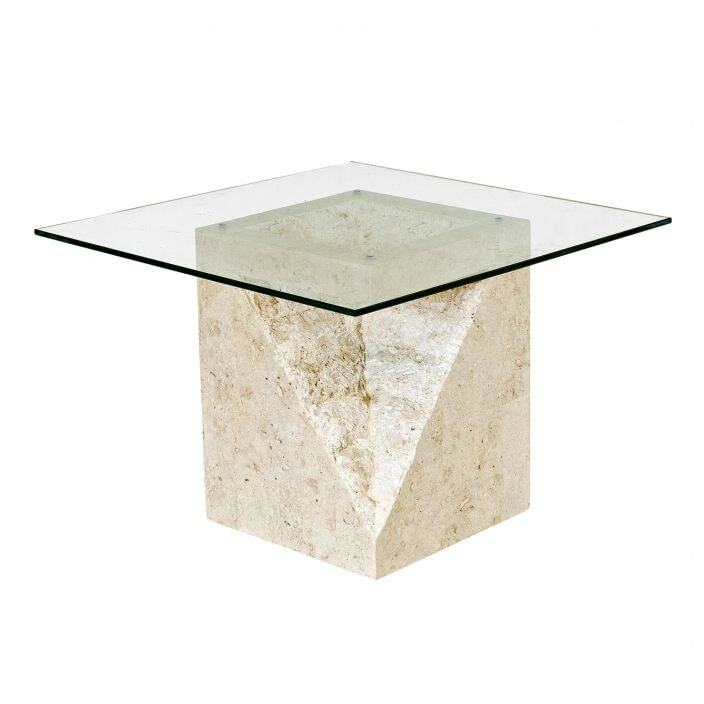 We are proud to present for your consideration this exceptional end table from our stunning new collection; Mactan stone collection. Originally from the South Philippines in an area called Mactan where the stone is quarried. The stone is a sedimentary conglomerate of shale and coral and its fairly soft so can be cut into pieces and made into desirable furniture. It has a naturally chalky feel with the odd pinkish tinge giving a fresh Mediterranean look. This end table, with its striking appearance and style, is sure to astound and become and instant favourite in your wonderful home. Dimensions:(glass dimensions) height 5mm x width 70cm x depth 70cm, (base dimensions) height 44cm x width 34cm x depth 34cm.